is a foundation to making disciples which is the purpose of church planting. Discovery Bible Study refers to a simple inductive process which engages us, ideally daily, with God speaking in the Bible. It has been used by thousands personally transformational ways extending God's Kingdom. Column two - reflect on the passage in your own words: What does it mean? Write what your heart and mind perceives to be God's intention as he communicates with you in the passage. Column three - respond personally: What will I do? Write one or two practical steps you will take to put the truth you see into action. To keep your response personal and practical it is good to begin your response with the words "I will..." e.g. "I will go to ___ , apologize for my part in our conflict and seek forgiveness and reconciliation." Begin Personally: You will experience the life of transformation and mission God intends for you! Use Discovery Bible Study in your personal quiet time. Place Discovery Bible Study in the core of Your Small Group or House Church. Person of Peace: On this foundation, begin to to pray for the Lord to lead you to persons of peace. 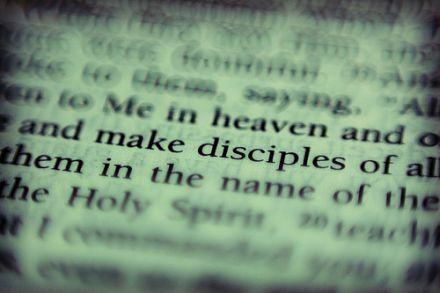 When Jesus sent his disciples to "show and tell" the Kingdom of God (Luke 10), he directed them to look for such people. A person of peace is one who (consciously or unconsciously) want peace with God, within him or herself, or with others around them. He or she is often a hospitable person of influence in his or her social network. He or she may become a disciple of Jesus or a open door to his or her friends to become followers of Christ. Steve and Marilyn Hill developed a "Luke 10 manual" from their experience in Central Asia (download in PDF). In China have developed "Training for Training" which helps disciples find persons of peace as they tell their story of encounter with Christ. For an T4T introduction offered by Missions Frontiers please click here. When you invite a person of peace to experience the spiritual transformation of Discovery Bible Study, don't lead the Discovery Group for him or her. Rather show him or her how to lead his or her own social network in it themselves. A Growing Network: A Discovery Group can by this means be extended into further spiritual generations of a disciple-making movement as Jesus intended. For more detail please click on PDF or PPT for an introduction on extending a Discovery Groups into embryonic ekkelsia with DNA to multiply. 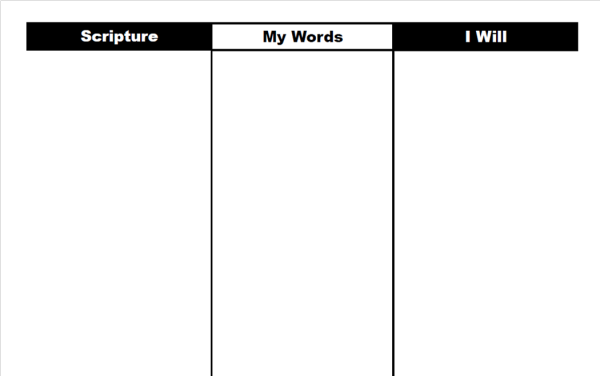 A summary of the process and suggested scripture passage sets also available here. Good questions produce good DNA for next spiritual generations. Please click here for the connection between small group questions and reproducing groups. Remember, as those in the Discovery Groups share what they are learning with friends, it would be so natural for them to invite their friends to the same Discovery Group they are enjoying. It's important rather to train their friends to lead Discovery Groups of their own to which to invite other friends. This "going out", rather than "bringing in" is vital for a growing network. 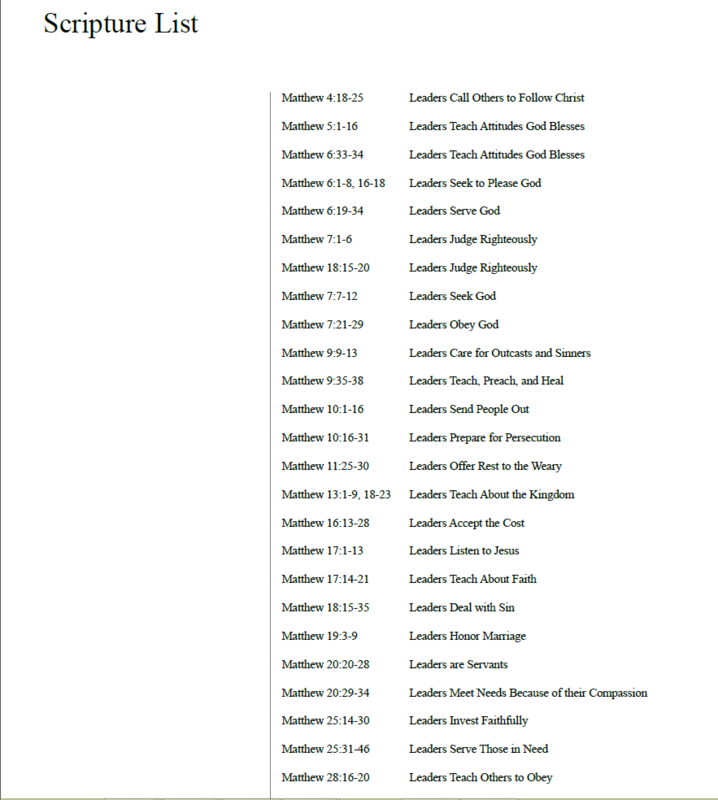 Persons of Peace: For those unfamiliar with the Bible's "love and rescue" story, you may want to introduce the chronological passages suggested in this PDF. Building Disciple-makers: For those wishing to help small groups further build God's intention for disciple-making communities, see "Discovering Church Planting" in PDF. For list of passages only, click here. Leadership Development: For those helping 'persons of peace' join you in developing disciple-making movements, see "Discovering Leadership" for multiplication in PDF. For list of passages only, click here. More Training: Helpful training is woven into stories from Africa where Muslims are turning to Christ. The story is a remarkable one and well told by a friend in a partner ministry who has served many years in the region. The story includes dreams and visions, courageous obedience, persecution and details of the role of simple inductive bible study focused on obeying what we learn and sharing it with others. 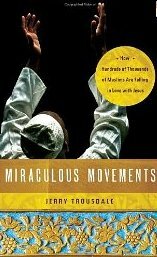 Jerry Trousdale has written a clear and helpful account illustrated by many stories based on first-hand interviews: Miraculous Movements subtitled: "How Hundreds of Thousands of Muslims Are Falling in Love with Jesus." Click on the cover to or go to http://miraculousmovements.com for a copy. Audio training by David Watson (whose surprising story from India is alluded to in David Garrison's Church Planting Movements) is on this site here. Tracking Fruit: Jesus said: "I am the vine; you are the branches. If you remain in me and I in you, you will bear much fruit; apart from me you can do nothing." (John 15:5) To help you track the fruit of your disciple-making movement please click here (with contributions by and thanks to Kirk Anderson and a disciple in Indonesia). Other church planting resources here.